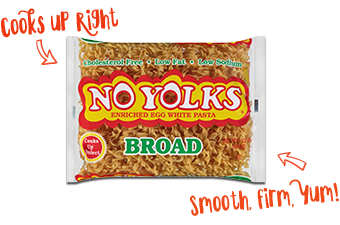 No Yolks® - the healthier alternative to regular egg noodles. Made from egg whites, No Yolks® have no cholesterol and are low in fat and sodium. 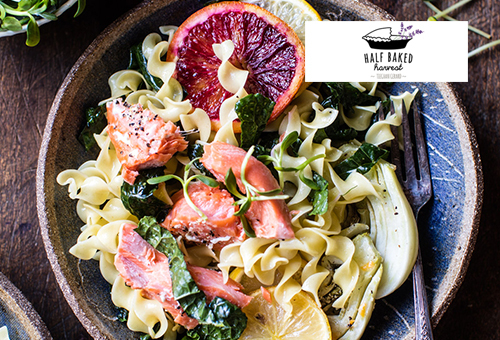 No Yolks® is part of the New World Pasta family of brands, a leading dry pasta manufacturer in the United States. We’ve partnered with one of our favorite Instagram Foodies, @lumadeline, who created this hearty and satisfying soup. 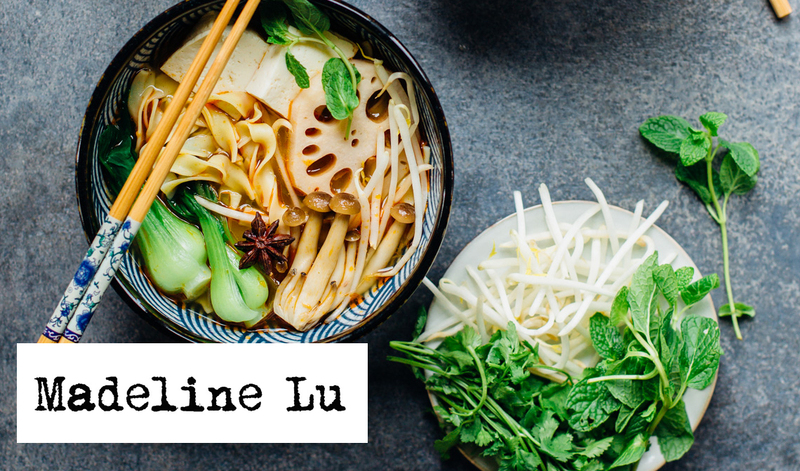 Inspired by the Vietnamese Pho soup, this mixed veggies with No Yolks noodle soup is packed with flavors (spicy, sour, salty and sweet) and textures. 1. In a small mixing bowl, combine 4 tbsp chopped green onions, 3/4 cup soy sauce, 2 tbsp sesame oil and a dash of pepper together. Set aside. 2. Heat 2 tablespoon of canola oil in large soup pot over medium high heat until the oil starts to smoke, add the chili garlic paste, grated ginger, grated garlic, and the rest of the spring onions. Stir fry until fragrant, about 3 to 4 minutes. 3. Add lotus root slices, 8 cups of vegetable stock to the soup pot, Chinese cooking wine, coconut sugar, and star anise pods. Bring the stock to boil and lower the heat to low, cover and let it simmer for about an hour. The soup liquid should reduce by 1/3 afterwards. Take out the lotus root slices and set aside. 4. Add 4 to 5 cups of vegetable stock to the soup to taste. Bring it to boil and turn off the heat. 5. Bring a pot of water to boil, and blanch bok choy, mushroom and tofu. Take out the vegetables and tofu, and set aside. 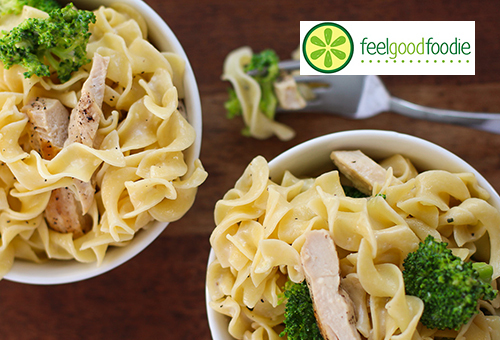 In the same pot, cook the No Yolks® noodles according to manufacturer's instructions. 6. When the noodles are almost ready, divide the soup stock and the green onion mixture (from step 1) into four large soup bowls. 7. 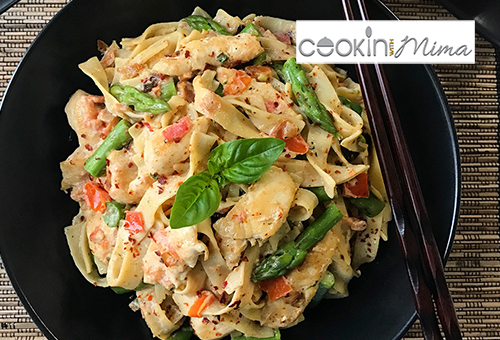 Divide the strained noodles into the four bowls and top with lotus slices, blanched vegetables, tofu, coriander, mint, Thai basil, and bean sprout. And serve.